The Philippines Atmospheric, Geophysical, and Astronomical Services Administration (PAGASA), Philippines Institute of Volcanology and Seismology (PHIVOLCS), and the National Disaster Risk Reduction and Management Council (NDRRMC) are three agencies of foremost importance. Combined they are responsible for the monitoring, detecting, and warning of key natural hazards that continue to threaten and impact the Archipelago. On average, the Islands are exposed to 20 Typhoons each year; making PAGASA a very busy agency. The ocean fault lines are almost an arms reach away that gives PHIVOLCS less than a 20-30 minutes tsunami warning horizon. We came to learn of these fact during the ‘CAP on a Map‘ kick-off workshop. 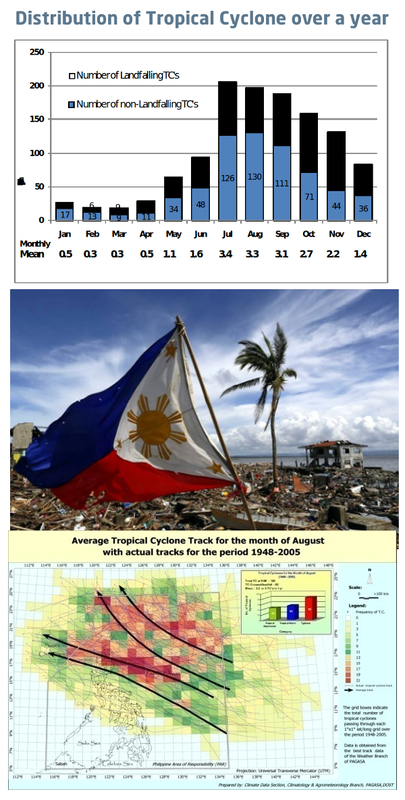 It was held at the Amihan Conference Room, at PAGASA, in Quezon City – Manila. Workshop participants represented a mix of organizations belonging to hazard detection/monitoring, alerting authorities, first-responder agencies and TV broadcasters. They participated in a few exercises intended to discuss the state of sharing alerts and warnings. PAGASA is one step a head with implementing CAP. They have worked with Google Crisis Response to publish CAP messages for public dissemination. The Cap on a Map project, made possible through funding from UNESCAP Trust Fund for Tsunami, Disaster and Climate Preparedness, will expand on the previous efforts to introduced all-hazard all-media and multi-agency situational-awareness approach. The workshop discussions also revealed that Filipinos are a mobile app culture with various risk information sharing apps. All of these findings are discussed in the report. Discussions with the Philippines Disaster Recovery Foundation (PDRF) realized the need to think of public utilities as an important partners who should be intertwined with the situational-awareness. Gas pipe explosion was a scenario discussed during one of the workshop group exercise. Water and Electricity is privatized in the Philippines; same as Telecommunications. Involving all public and private stakeholders in the design and roll-out is critical to operationalizing a functional early warning system. At the outset the project is partnering with the PAGASA to pave the way in implementing the project in the Philippines. The implementation would deploy the SAMBRO Multi Agency Situational Awareness (MASA) platform. It is intended to improve the situational-awareness for the disaster and emergency management agencies. The knowledge mobilized through the MASA software would enhance the coordination of the response to various hazard events and incidents. CAP is the supporting piece that fosters interoperability enabling the exchange of all-hazard alert/warning with multiple agencies and the public using all available media channels. As we move forward, with the design and implementation, we will be exercising a participatory community centric approach involving all relevant institutions and administrative strata.